From the twisty roads of the upcountry to the scenic curves of the Savannah River Byway, there are hundreds of miles of excellent rides in the Palmetto State. But before you break out the Harley and hit the road for a Sunday joy ride, be sure you have adequate motorcycle insurance coverage. The state of South Carolina requires motorcyclists to carry the same insurance as motorists. South Carolina defines a motorcycle a vehicle with two wheels and saddle for the rider. After holding a permit for 180 days, you may apply for a Class M driver’s license. This requires scheduling a motorcycle test through the SC DMV. You must also show title and registration for your motorcycle, as well as proof of insurance. This same coverage amounts apply to uninsured motorist minimums. BI/PD liability coverage pays for the other driver’s injuries and property damage in an accident that you cause. Uninsured motorist insurance covers your expenses if the other driver is at fault but does not have insurance. Collision coverage: This insurance helps repair or replace your bike and riding gear after an accident where you are at-fault. 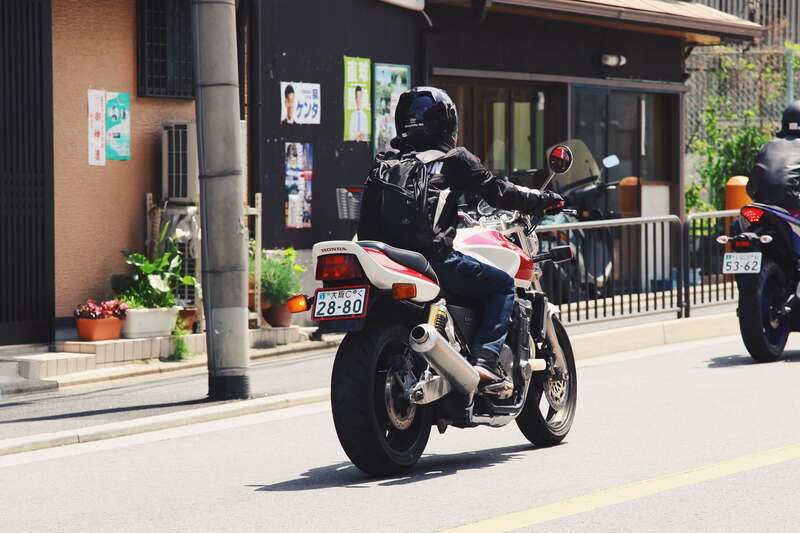 Comprehensive coverage: If your motorcycle gets stolen or hit and damaged by falling debris, comprehensive coverage kicks in to help you replace or repair the damage to your bike. Total loss coverage: Depending on the age of your bike, most insurers will allow you to purchase total loss coverage. This means if your ride gets totaled, you’ll receive enough to purchase a new bike of the same make/model. Medical payments (MedPay) coverage: MedPay coverage pays for the medical and/or funeral expenses of you and your passenger if you’re in an accident, regardless of who is at-fault. Accessory coverage: If your ride is rigged out like something off American Chopper, you may want to think about adding custom parts coverage. This coverage will protect those special additions like jet kits, tuners, and fancy tail lights. Towing and labor: Nothing’s worse than getting stuck on the side of the road when you should be cruising around corners and flying down straightaways. In those unfortunate times you get a flat or your ride breaks downs, towing and labor coverage will pay for roadside assistance and a tow to a local shop for repairs. Underinsured motorist coverage: While you are required to have uninsured motorist coverage, you can also add underinsured motorist coverage. This coverage pays when another at-fault motorist has insurance coverage, but the insurance coverage is not sufficient to cover all your medical expenses and repair bills. At Upside Insurance, we’ll help you find the best rates on motorcycle insurance in South Carolina. Work with one of our licensed agents to create a policy perfect for your needs – whether that’s a bare bones package with basic liability/UM coverage or a policy that checks all the boxes for the most comprehensive protection. After discussing what you’re looking for, we’ll pull rates from the top motorcycle insurers in South Carolina. Find the coverage you need at cheaper rates. Call Upside Insurance today!